The “Know All Book” Based on the Traditional Ancient Chinese Almanac and everything you need to know about 2017 and the year of the Rooster. The 2017 Feng Shui guide will help you make the most of this year. It took Michael & Daniel Hanna over two months to compile this amazing 490 page book that every home, business and Feng Shui Practitioner/Consultant in the world should own to make sure that 2017, year of the Yin Fire Rooster is as successful as it can be. Of course every author would write this but for those that know Michael & Daniel and their world famous Feng Shui Company and have followed their advice over the last eighteen years will know this to be true. The ethos of our company whether for the store, school, consultations or our world famous International Academy of Feng Shui has always been based on traditional and authentic and not the Mickey Mouse Feng Shui that so many books and websites subscribe to. Our Feng Shui website is one of the oldest in the world and is not full of gimmicky cures and enhancers and neither is our advice and best of all we do not sell this e-book split into different e-books for each animal, flying star advice or Almanac each month, it is ONE e-book with 490 pages covering absolutely everything you need to know for 2017 year of the Fire Rooster. The 2017 Feng Shui guide e-book has been written with the same philosophy and passion and contains in our opinion life changing cures and enhancers, it is not just a book for 2017; it is a book for life. You will not find anything as powerful anywhere else in the world. And to take advantage of the Internet and save some trees it is available only as a download e-book version that can be in your hands within minutes. The 2017 Feng Shui guide e-book is exceptional and has been skilfully and meticulously written and translated so your understanding and knowledge of traditional Feng Shui is not required. Every part has been designed to give you step by step instructions and advice for every part of your life in 2017 and also a learning book that puts the record straight with regards to the misinterpretations and contradictions in so many Feng Shui books and websites. The Tong Shu is also known as the Tong Sing, Tong sung, Chinese Almanac, date selection and book of knowledge and as many of you will know we have produced a Tong Shu almanac every month for the last eighteen years and will continue to do so free of charge. The almanac page on our Facebook page is visited by thousands of people each month as they know with good auspicious date selection they can improve their chances of success of many tasks significantly and with this eBook you can select dates for the whole of 2017 with no restrictions right through to December 31st 2017. Our monthly newsletter and Review is widely read by tens of thousands of Feng Shui Masters, Practitioners and enthusiasts from all over the world and it is one of the longest running traditional and authentic Feng Shui monthly newsletters that carry no advertising. We regularly appear in newspapers, TV, magazines, we have won many awards and received more testimonials than you can ever imagine. The authors of this book are Feng Shui Master, teacher, author, mentor and researcher Michael Hanna and Feng Shui consultant Daniel Hanna along with input from Josephine the Feng Shui Store co-owner, who are one of the most sought after Masters in the world and have helped thousands of people from all over the world transform their lives for the better (read what some of our clients have to say?). A true measure of our success and knowledge is the fact that we are ‘consultants to other Feng Shui consultants’. This book shows you how to make the most of the auspicious qi in the Year of the Yin Fire Rooster for your home or office. Learn how to easily avoid the yearly afflictions, learn more about the energies of 2017 and find out what are the most auspicious sectors to use, and what are the sectors to avoid. Determine how the stars will affect your building whether home or office and more importantly how to avoid potential problems. If you want to try and avoid continued sickness, arguments, bankruptcy, loss of wealth, legal problems, relationship problems, car accidents, accidents involving metal and just overall bad luck? This book is essential for everyone to have for 2017. This first part of the 2017 Feng Shui guide e-book gives the annual predictions for the year of 2017 for the 72 different Chinese animals. The second part has the Feng Shui predictions for 2017 based on each of the nine compass sectors. It also shows the exact directions to avoid digging and disturbing the ground in 2017. It also has the day selection guide for all 12 calendar months with a day by day indication of favourable and unfavourable activities and also whether that day is suitable for your Chinese animal. The Tong Shu date selection we use is called the 28 constellations -This is a powerful date selection method giving fortunate and avoidable tasks on a daily basis. – This chart displays the annual (right) and monthly (left) flying star locations. Yearly, monthly and daily pillars – these pillars are for reference only for those that follow Ba Zi. Daily auspicious numbers – Use these numbers when selecting lottery number, roulette etc… These are general daily auspicious numbers formulated from the three pillars. Conflict direction – Avoid these daily conflict directions when performing important physical tasks like digging etc. Chinese Animal Almanac – as you may all know, we all have a Chinese animal which is based on the year and month that we were born. Just because the red face may signify a bad day, you should take this as more of an indication to take more care during this day. Even my best days have been red face days so do not hide away from everything during a red day. What is contained in the 490 pages of the 2017 Feng Shui guide? Xuan Kong Flying Star cures and enhancers recommendations for every part of your home or office. January 2017 – December 31st 2017 Almanac for every day of the year. Giving you good and bad days for starting a business, launch new product or business, getting married/engaged, travelling and many other day selector tasks. Powerful water placement methods for 2017. Wealth, business, relationship, health, career, children and overall harmony advice on each sector of the home or office. Your Min Gua good and bad directions for wealth, career, relationships & health. Advice on northern & southern hemisphere, so if you are located in the UK, USA, Canada, Hong Kong or Australia this book is applicable to you. Advice on your Min Gua and how to use your four good and bad directions. Placement of water for wealth for 2017 and beyond. 490 pages of the most valuable Feng Shui and Chinese astrology information you will need and written in a clear and concise way that all will understand. How will this e-book be delivered to you? 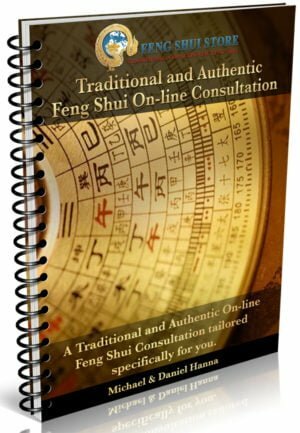 You will receive the 2017 Feng Shui guide e-book as a download in a PDF format which can be viewed on your computer, iphone, ipad, itouch, Android, Kindle, in fact you can view this on pretty much any machine as PDF is the world standard and it doesn’t matter if you have a Windows system or Mac.